The Activity Trainer is a powerful software program that makes the research-based, effective Video Modeling teaching method practical for the classroom and home. 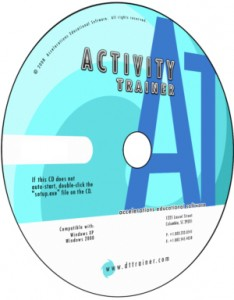 The Activity Trainer is a versatile teaching tool that enables teachers to use videos to teach almost any targeted activity or skill – from simple to complex – and includes a library of activities with options to customize, modify, and create new activities. Video modeling has been shown in numerous studies to improve acquisition rates across a wide variety of tasks for individuals with autism and other learning disabilities. Unfortunately, because video modeling is a difficult process, few of our students are benefiting from this powerful teaching method. The Activity Trainer in the first tool designed specifically to make video modeling easy. First Software to make video modeling practical and easy for at school and home. No more fumbling around with video tapes, CDs, or DVDs trying to find a section of the video to play or replay. Research Based: Almost 2 decades of research showing Video Modeling to increase acquisition rates for wide variety of skills for individuals with autism and other learning disabilities. Activity Skills Library provides hundreds of videos with still images, audio, text, and worksheet resources to teach hand-on skills including Academic, Daily Living, Communication, Social, Recreation, and Vocational Skills. You will get many more activities that we create for the Skills Library as part of the free updates in the first year after purchase. Unlimited Students with individualized videos and resources with prompt levels targeting specific student needs. The AT remembers where each student is on each activity to make it easy for us to work on many skills across a classroom of students. Data Collection includes automatic date/time stamp and run count of videos, provides for addition of notes, and allows for easy recording of results for prompt level required for student success on each run (Independent, Shadow, Gesture, Verbal, Physical) with choice of intensity levels 1-5. Expert Task Analysis is built in to the activities so that teachers, teaching assistants or parents can implement powerful teaching methods with a few clicks of the mouse. 1st Fold Autism ExerciseActivity Schedules can be created to help student use newly learned activities and skills in a structured visual schedule format. Schedule is configurable to meet student needs. Classroom view allows for students to take turns completing their specific schedules. Add Your Own Videos to the Activity Trainer under the User Library under the Activity Library Tab. This feature allows the user to customize targeted activities for specific settings, procedures, and materials. Help Videos are available from the Main Menu or by clicking on the Red “?” on each page. You use the videos to teach new skills, and then transition the student to less supportive prompts like images or text. Prompts include Video, Images, Text, and Audio and can be tailored to meet individual learning needs and levels. The activity trainer allows you to play portions of the video, view snapshots from the video, view related text, and associate alternate audio instructions. The video, images, text, and audio can be changed or tailored to accommodate individual student’s needs. By allowing integration of video, audio, images, and text into predefined presentations, the Activity Trainer takes Video Modeling to a new level of capability. Once students are created on the AT, and activities are selected for the students, teaching skills is simply a few clicks away. No more scanning through videos to find the portion to play. The task analysis is already done so even a person not trained in task analysis (breaking down an activity into steps) can easily perform systematic teaching of complex tasks for the student. Data collection features allow the user to track student performance. The AT automatically collects the activity name, the prompt, when played, and how long it took. You can add the result and any associated notes while the trial is going on or afterward. You can set up computer based schedules for the student to use learned activities. The Schedules can be set to allow the student to self-select activities or to follow a set schedule. Student photo image, icon, or symbol can easily be incorporated into the visual schedule. With the computerized schedule system, you can easily control how many times the student gets access to an activity and how many times the student can cycle through the entire schedule. You can also print off the images to do off computer visual schedules. The Activity Trainer has a User Library area for customers to create their own activities. Create from simple video activities that are just played in full, to activities that include predefined task analysis and transitions from videos to images and text. Activities can also contain one or more versions of printable worksheets. The Activity Trainer is priced affordably so that it is a cost effective solution for a wide range of students, and not just the most expensive to educate. This is a large and robust package with one year of updates at a modest price point. Our pricing is intended to help make the Activity Trainer a standard package in appropriate classrooms and home settings. 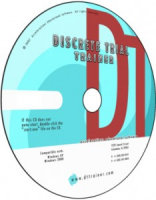 The Activity Trainer comes with training videos and there are also prerecorded and live web based training sessions available. Affordable… Priced as a cost effective solution for a wide range of students. Almost 2 decades of research showing Video Modeling to increase acquisition rates for wide variety of skills for individuals with autism and other learning disabilities. Activity Schedules can be created to help student use newly learned activities and skills in a structured visual schedule format. Schedule is configurable to meet student needs. Classroom view allows for students to take turns completing their specific schedules. Various components affect overall system performance. You may need to judge acceptable performance for your students and their tolerance for system delays. A 15″ or 17″ monitor is recommended if you need a touch screen (touch screens for 17″ monitors are more expensive than 15″, and 21″ touch screens cost significantly more).